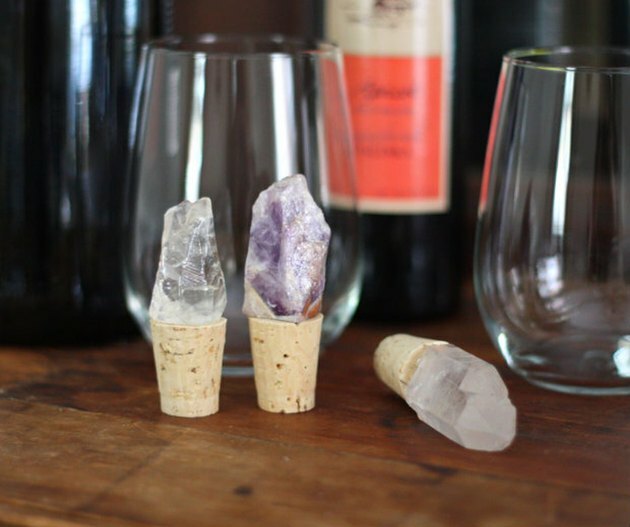 These decorative wine corks are quick to create, add a touch of natural shine to your bar cart, and make for a homemade yet high-grade hostess or housewarming gift when paired with your favorite bottle of wine. 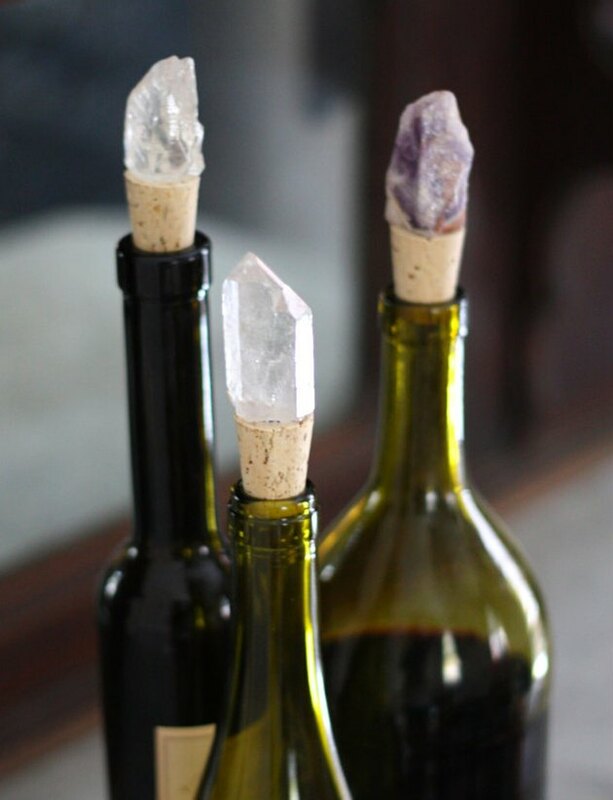 Or, if you’re like us, they’re a fun way to fancy up that bottle of budget wine you keep open on the counter throughout the week, pulling out the good stuff when guests come over (guilty!). 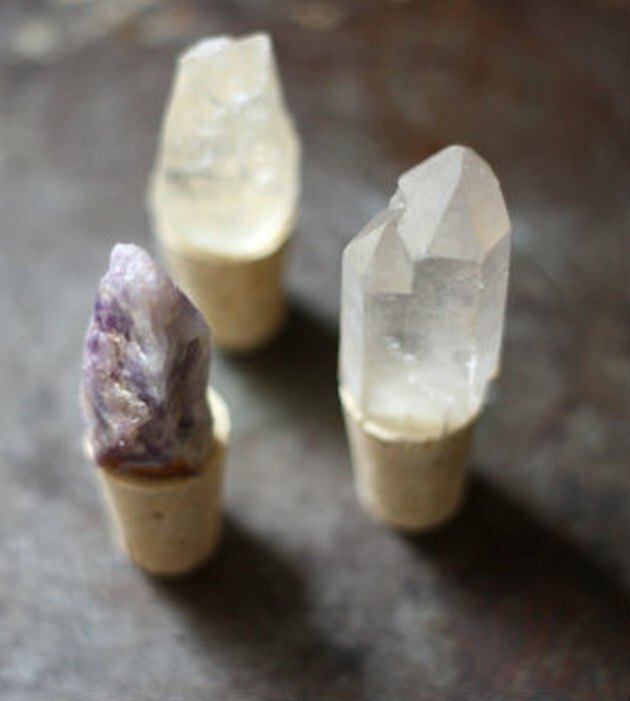 Look for crystals or rocks with a flat bottom. If you're searching a local store, you may be able to ask a shop expert to quickly slice a flat edge on the crystals using a diamond saw! 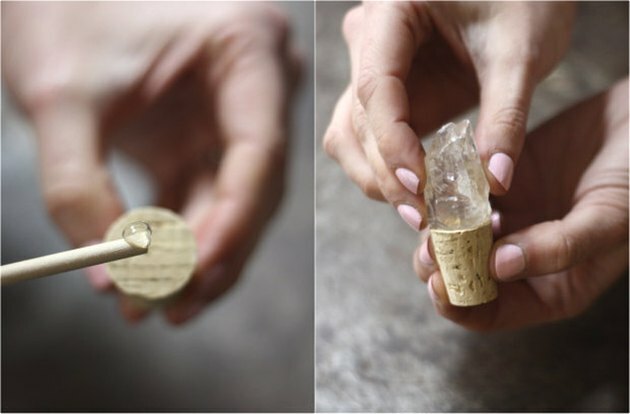 Making sure both the top of the cork and flat base of the crystal are clean and dry, apply a small amount of adhesive, bonding the two together. At this point, while the adhesive is still slightly workable, make any final placement tweaks for best fit. If there is any additional adhesive spilling through the edges, wipe away with a damp paper towel for a clean look. Allow to dry overnight in a clean dry area before using or packaging up as a gift. 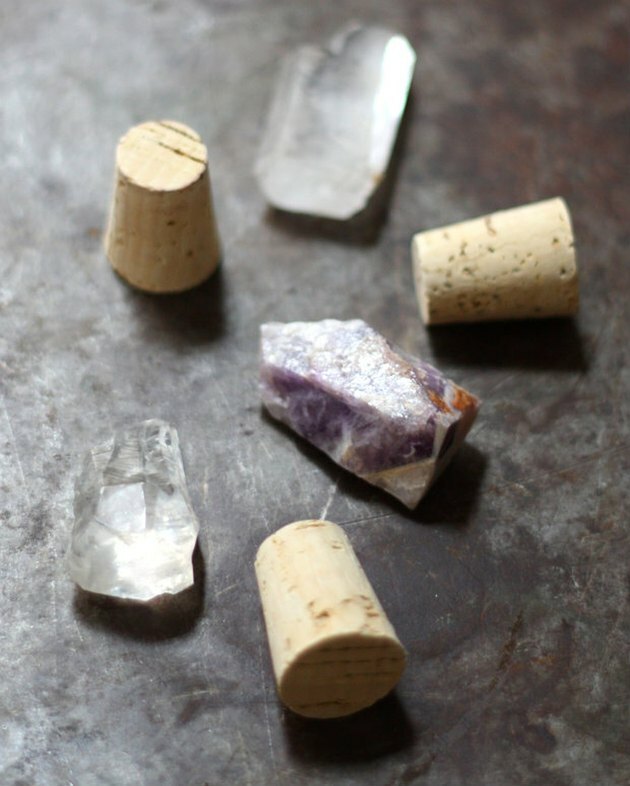 With those simple steps and right around $10, you’ve now got a sparkling new collection of wine stoppers filled with character and charm. Sounds like it’s high time to crack open a bottle of vino to celebrate and test these gems out.